As part of their ongoing process of creating awareness of the Additive Manufacturing/3D printing capabilities in South Africa, RAPDASA and CPAM are proud to have collaborated in the Additive Manufacturing (AM) Entrepreneurship Evening held on 3 May, 2018 at Siemens SA in Midrand, Gauteng. 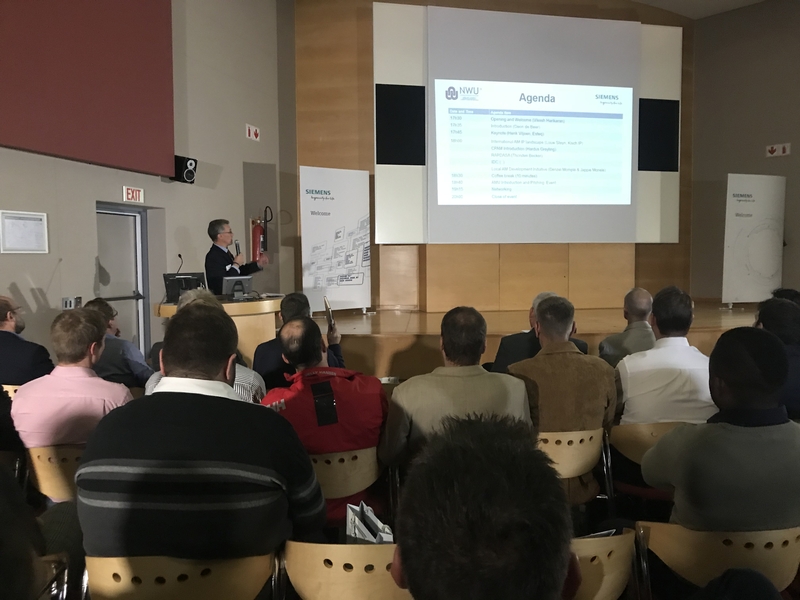 Additive Manufacturing Ventures (AMV), Munich, Germany and Siemens SA joined forces with North-West University to host an opportunity to strengthen the national support ecosystem for local entrepreneurs in additive manufacturing/3D printing. Links between established platforms, associations and organisations, such as RAPDASA, the Collaborative Program on Additive Manufacturing (CPAM), the Industrial Development Corporation, and local and international industry players, such as AMV and Siemens, were forged. The video highlights the importance of events such as this in strengthening the AM industrial sector in South Africa. Please share this on social media.